It was Bhaval Patel’s birthday today. He is an Assistant Vice President at Space-O. 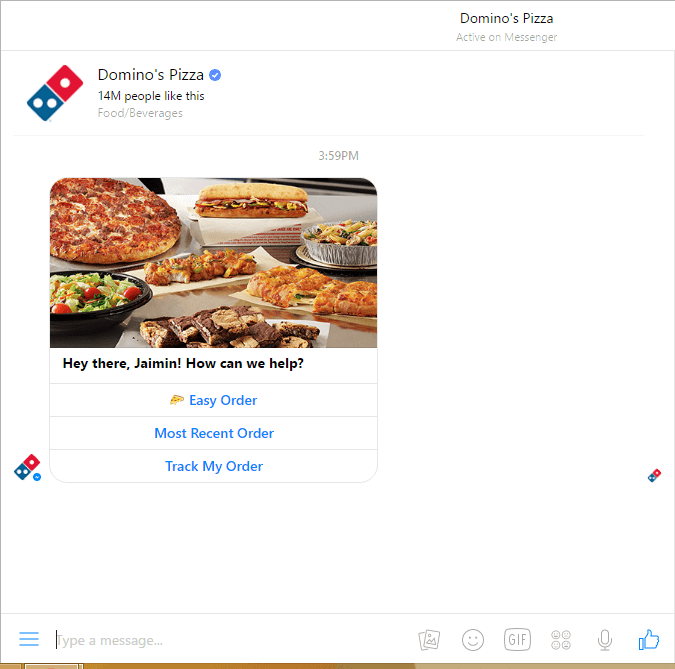 And we decided to order Margaritas from Domino’s pizza through their new Chatbot. But while doing so, we sort of felt like having an inhuman conversation. and guess what? We decided to share our whole experience with you. But before we proceed, let’s first get a clear understanding about ChatBots. In technical terms, A Chatbot is a computer program or an algorithm developed to stimulate conversation with humans, mostly over the internet. This means you can simply develop a Chatbot related to your product and/or service that can initially have a conversation with your potential clients. This is extremely useful when implemented right. 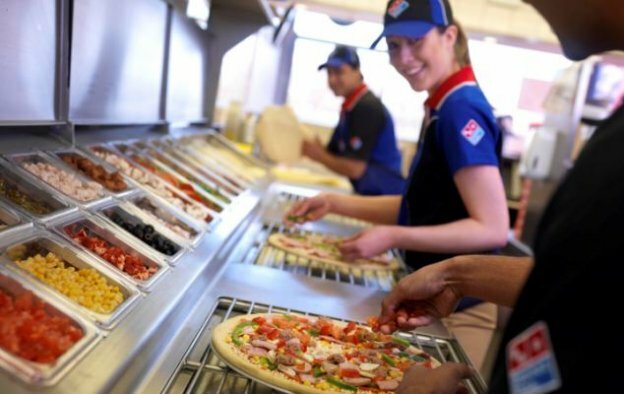 When we came across the Dominos Chatbot, we analyzed it thoroughly and found many inhuman responses that actually leads the chatbot to lose their potential customers. ’14M people like this’ – WOW! 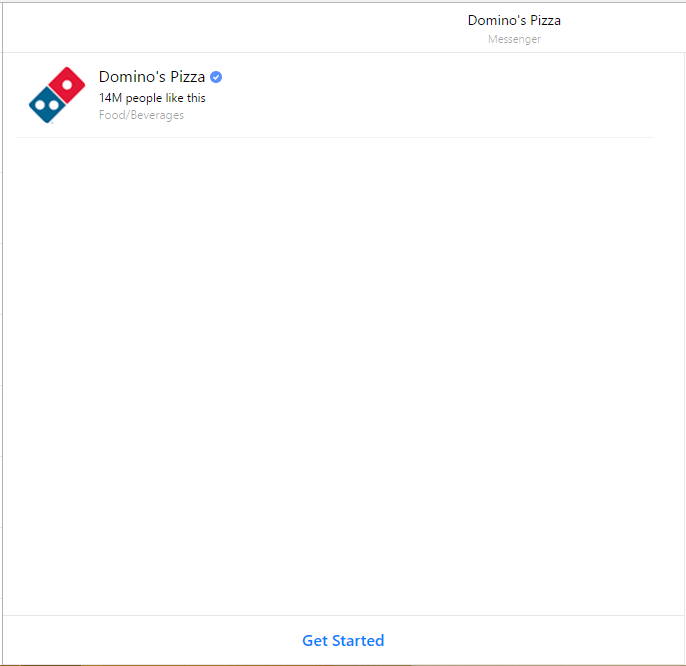 Anyway, there is not much of an issue here, but when you click on Get Started, Domino’s Pizza directly sends a page with 3 options shown below. This doesn’t offer much of a human experience, which a chatbot is supposed to be. For instance, even if you ask ‘How are you?’, this is how it responds. 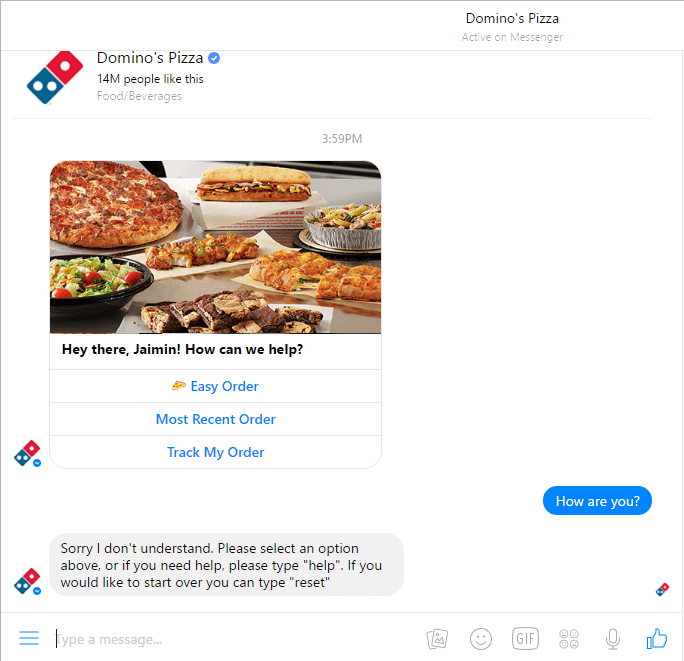 So what we observed here is, Dominos chatbot doesn’t have the basic natural conversation responses that should be added. 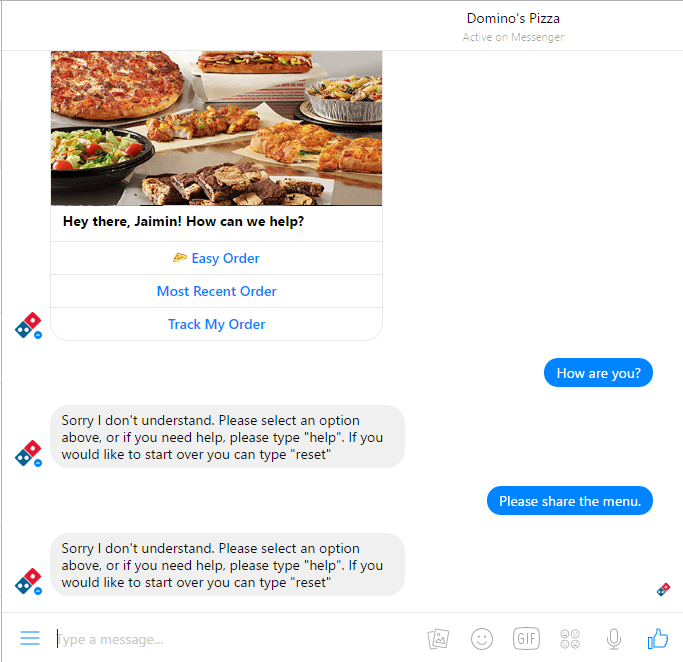 To give you another example, we asked Dominos ChatBot for its menu and this was the response. Again, the whole purpose of a chatbot is to make users feel that they’re having a conversation with a human being. Therefore, whenever you’re planning for chatbot development for your product and/or services, you should always keep in mind such possible conversations that your user could have with your chatbot. because they add value to your chatbot where your users enjoy and get the information that they seek. When we first heard about Chatbot development, we started studying it thoroughly. And after a number of brainstorming sessions with our sales and development team, we wrote down the list of common questions and implemented it in our Facebook page. Click here, and start chatting to our ChatBot. 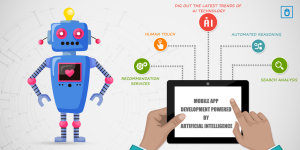 This chatbot itself got us many clients including the ones whose requirement was to hire dedicated developers for ChatBot development. 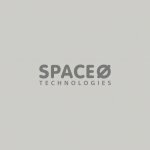 In fact, those clients also gained tremendous amount business out of Chatbots. Would you like to be one of the successful ChatBot owners? Contact us today. We will get back to you as soon as possible. This page was last edited on July 20th, 2018, at 7:28. 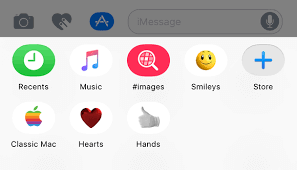 Any ChatBot Development Idea? Contact Us Now.